MiO water is a water enhancer that is still relatively new to the market. If you're unfamiliar MiO; it's a zero calorie water enhancer. The whole idea behind MiO is to offer a convenient way of providing you with custom water drinks wherever you are. Simply bring your MiO with you, and add it to your water, where ever, whenever. It's also important to note that MiO is sugar-free, no artificial flavors, gluten-free, and makes water taste good! MiO offers many different flavors, some with added ingredients to give you energyi and the MiO Fit flavors which have electrolytes. Picking the best flavor can be a very tough decision when it comes to MiO flavors. 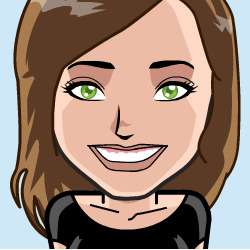 We are here to help - we have personally tried the flavors, read the reviews, received emails from people that have tried flavors and compiled a list of the Best MiO flavors! We'll be honest, some of the MiO flavors just don't seem to work out. While we found what we think are the best tasting MiO flavors, try one or more of the variety packs at the end of our review to sample several and see for yourself which ones you prefer. If you're a fan of Berries or Pomegranate you will simply love this MiO flavor. It's not a very strong flavor, but giving it a couple of squeezes into your water adds a new great twist to your drink. You can definitely taste the pomegranate more than the berries, but it seems to work well. 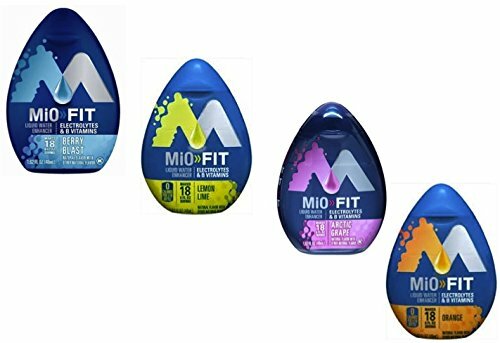 This is definitely one of the best MiO flavors - but if you're not a fan of pomegranate I would highly suggest the other two MiO flavors listed below. We believe MiO did something very right with this flavor. The orange tangerine tastes very much like the popular mix called Tang. This flavor also offers some B vitamins which is a pretty nice addition. This is definitely one of the flavors that you must try if you're into orange drinks. Sometimes things labeled as fruit punch just don't taste like the "fruit punch" you'd expect it to taste like, this MiO flavor is different. At first we didn't squeeze enough into the water and honestly it tasted a bit faint and not very fruit like. Once we tried it again, adding about twice as much as we did the first time, it came out great. If you're a fan of fruit punch, go ahead and give it a try! MiO variety packs. Try them all! Berry Pomegranate, Blueberry Lemonade, Strawberry Watermelon, and Cherry Blackberry. We'll be honest, deciding the best flavors of something can be very trick and opinionated. We did our best to provide you with an accurate flavor tasting, you may disagree - thats how flavors work. However, some of the other flavors we tried were simply bad, and not worth it. The above flavors are the only three we would personally recommend buying. But, you could always give another flavor a try! Berry Promenade was our favorite, after we tasted this one we looked at reviews and other comments about it, and many people tend to agree, making it the best MiO flavor. Orange Tangerine taste's exactly like "tang" if that's what you like, you'll love it. Fruit Punch is decent, and worth buying. However, you have to be heavy on the amount you put in to get the true fruit taste.